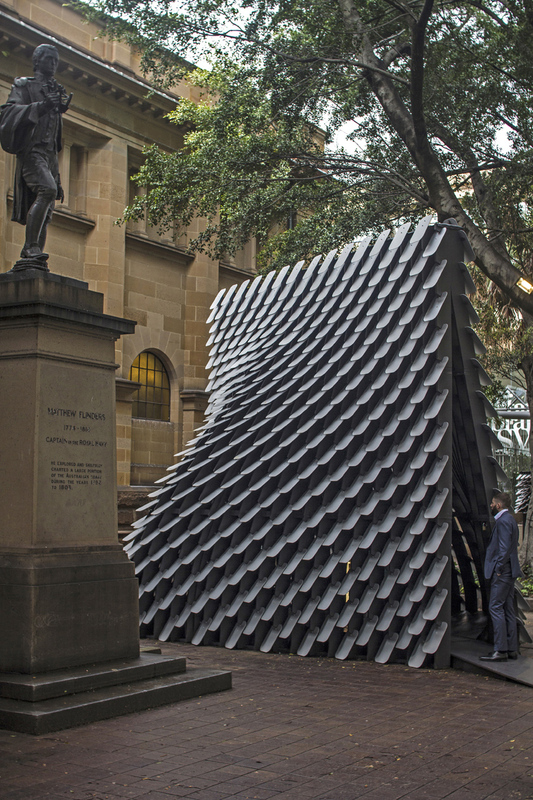 british designer and architect thomas wing-evans has created ’80Hz’, an interactive sound pavilion in collaboration with the dx lab for the state library of new south wales in australia, which takes paintings from the library’s collection and turns them into music. 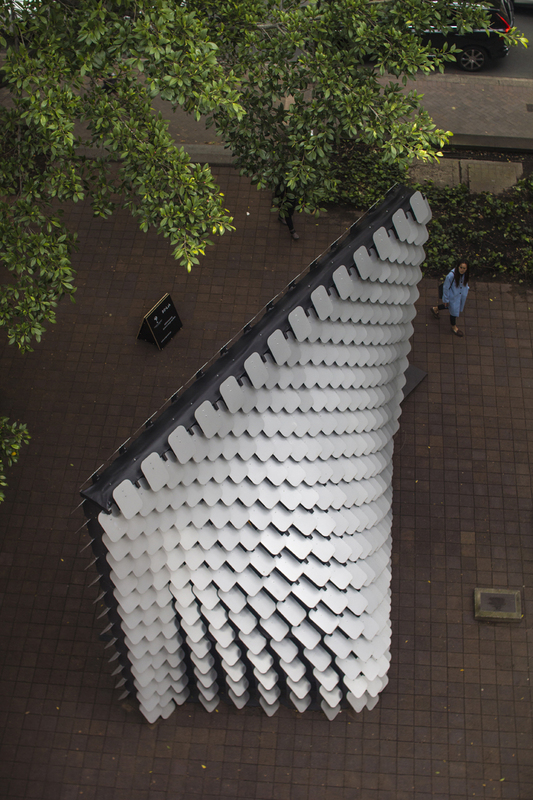 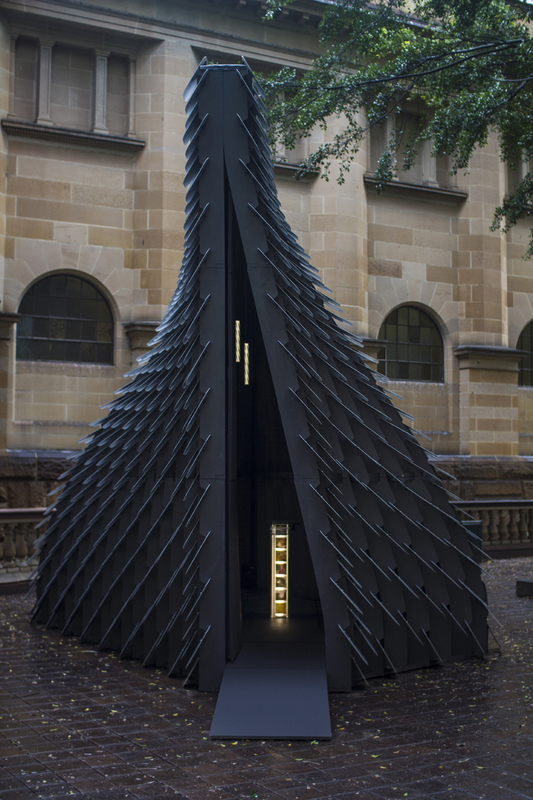 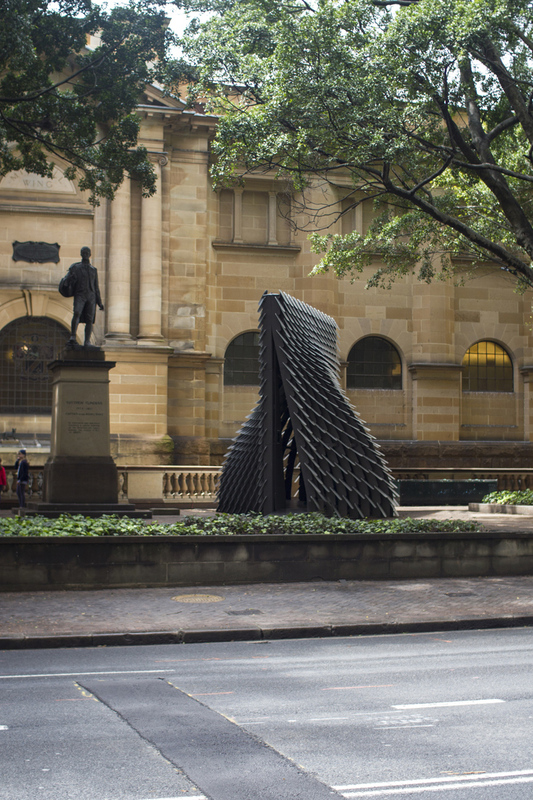 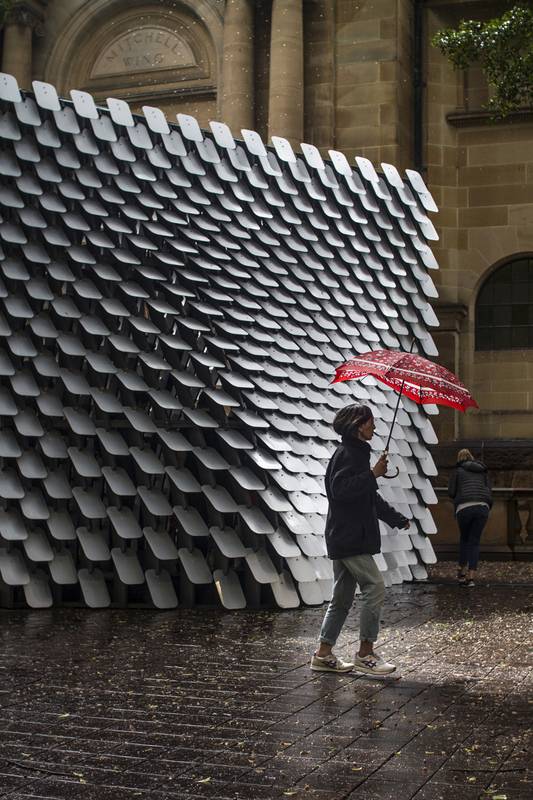 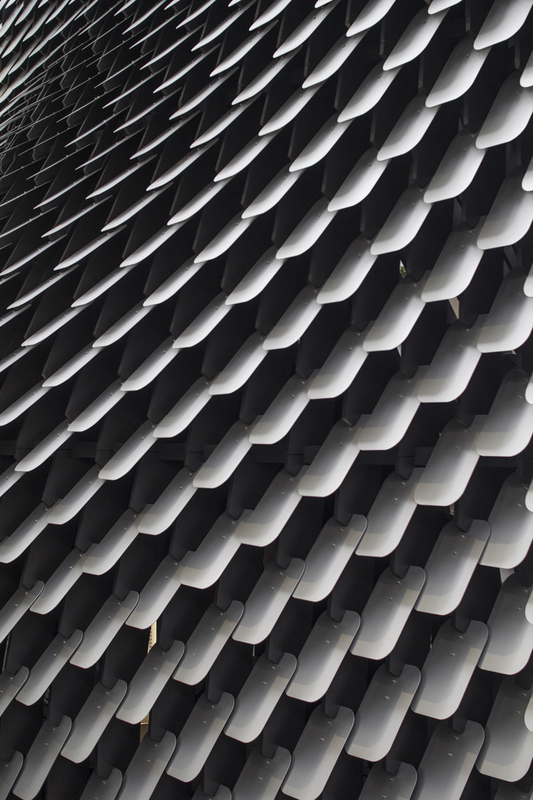 located outside the mitchell reading room in sydney’s CBD, the installation features a curving black timber frame clad in matt anodized aluminum shingles. 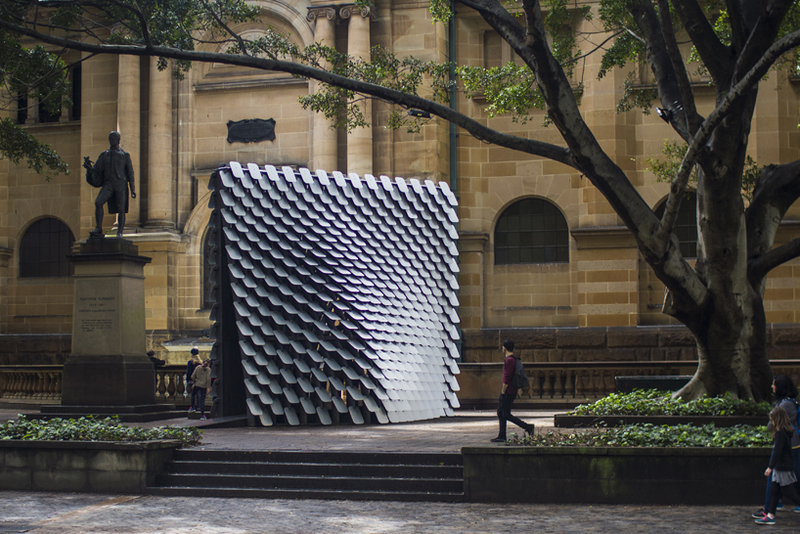 working with studio sonar sound, wing-evans has developed a computer program to translate visual data into sound. 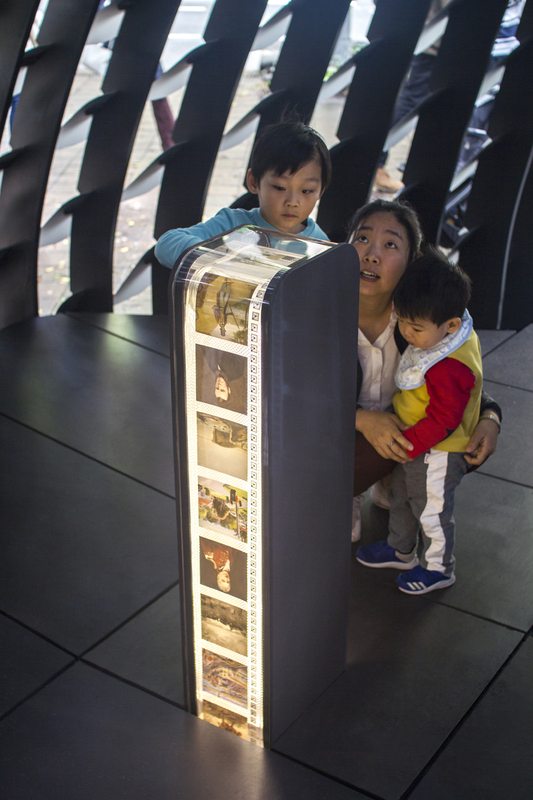 images were analyzed for visual data such as complexity, color, tone and face detection, and metadata like date, location, and subject. 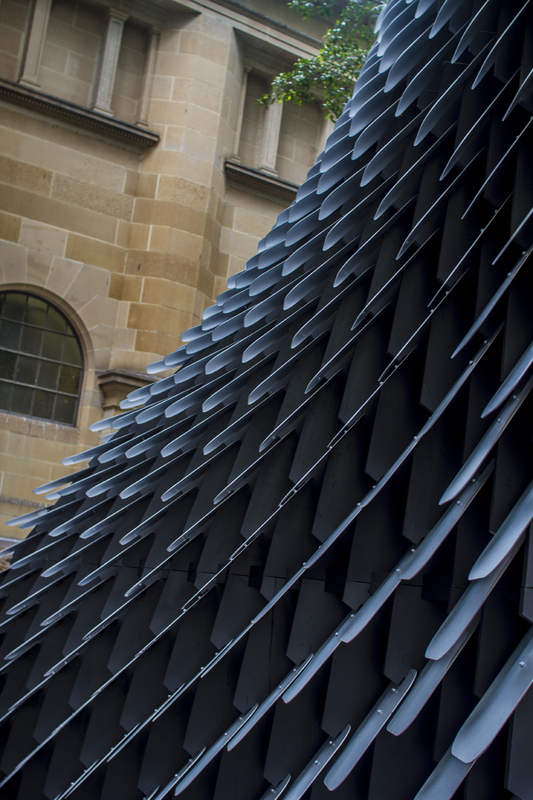 these values then formed the basis of computer-generated compositions. 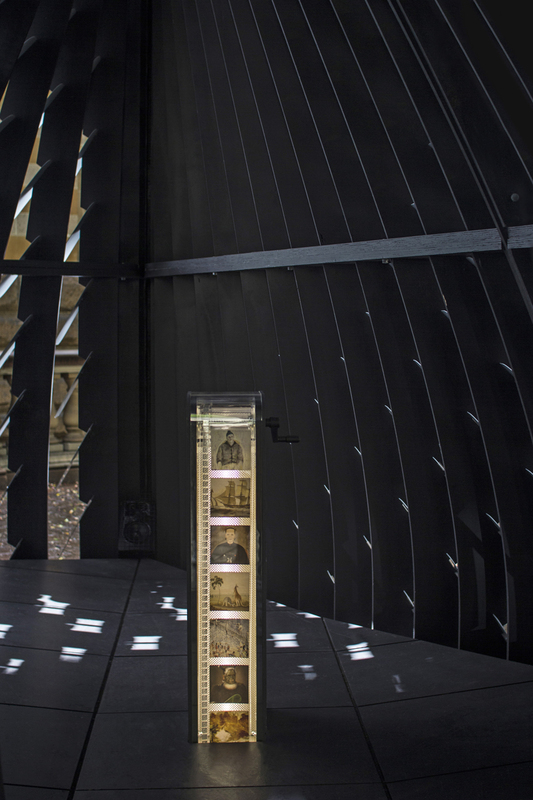 inside the structure, a central mechanism displays a selection of paintings on a reel, like a real-life instagram feed. 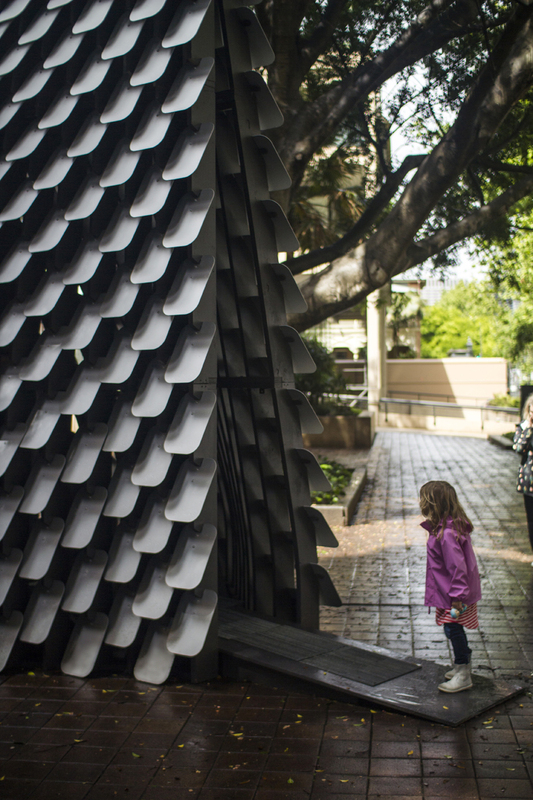 visitors can crank a handle to select an image and listen to its soundscape. 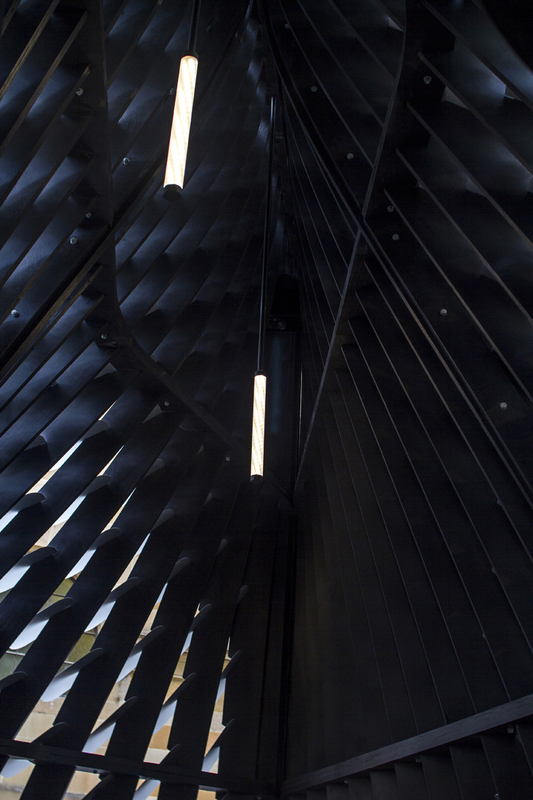 multi-channel audio embedded in the floor and all corners creates an immersive experience that surrounds visitors and resonates through the structure. 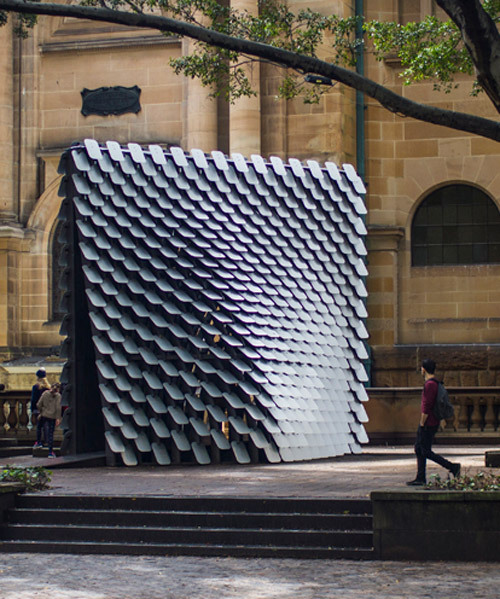 the metal cladding and geometry mean that the sound reverberates, creating a unique acoustic space.